This able creeker was named for the Umzimvubu River and its tributaries in the wild Transkei region, including the Tsitsa Gorge, an expeditioner’s paradise boasting limited access, intense rapids and remote conditions. Celliers Kruger completed the first descent of the Tsitsa in five days, an experience that gave birth to the Vubu: a creekboat designed to handle any mission you throw at it. Paddlers will find the Vubu to be an incredibly nimble boat allowing them to make precision moves, easily turning and pivoting through complex rapids to hit their lines. At the same time, the boat is fast and tracks well through flat water and is able to transition through eddy lines and funny water without spinning out – necessary qualities in challenging waters. Celliers’ years of experience paddling and designing have yielded an aggressively performing boat with confidence-boosting stability so you can charge hard into rapids without worrying about catching edges and flipping. If you do capsize, the Vubu rolls easily, but with the secondary stability in this hull design you may find yourself having more dry-hair days on the river and needing to find other ways to cool off. The Vubu, like kayakers, loves to boof, and will launch on steeps and waterfalls with a well-timed stroke. For those times when you pull your stroke early, late, or not hard enough, the peaked front and back decks help the boat resurface fast and shoot forward, propelling you out of holes. The stern’s squared-off design also ensures that you won’t have any unintentional stern-taps while boofing. 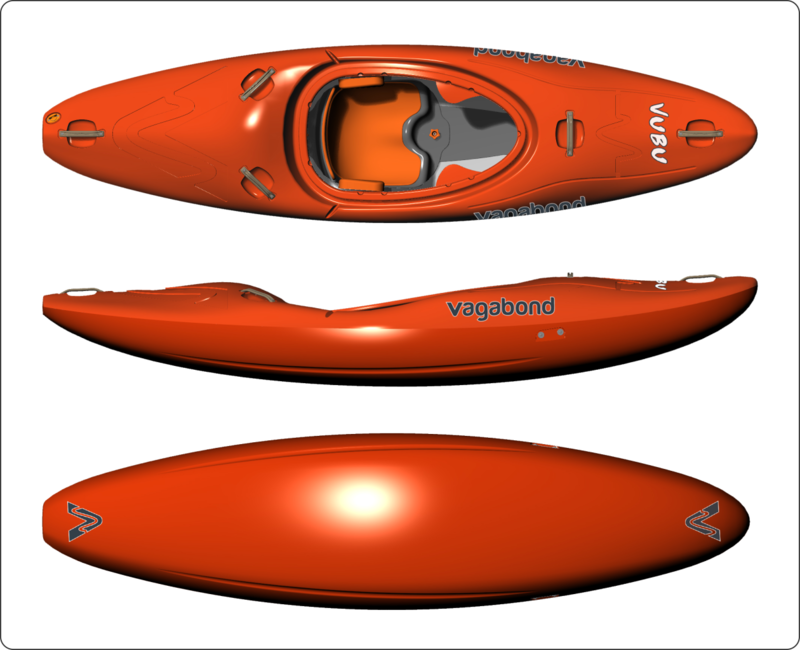 The Vubu is the perfect creekboat for a whitewater kayaker’s arsenal, whether you are new to the sport, an expert pushing the limits or a seasoned paddler. You will find the perfect combination of agility and stability in this design.